These Variable Speed Belts Cross Reference with: Bando Power Max, Gates Variable Speed, Thermoid Variable Speed, Browning VS, Dayco Variable Speed Cog, Dodge Wide Range Variable Speed, Goodyear Variable Speed, Maury Variable Speed, MBL VariStar, Optibelt Super VX, TB Wood's Variable Speed. 1230V341 Multi-Speed Belts: 3/4" Top Width. Replaces Variable Speed Belt. 34.6" Length - top width 3/4"- angle 30. 1330V242 Multi-Speed Belts: 13/16" Top Width. Replaces Variable Speed 615VA2130. 24.7 inches O.C. - top width 13/16" - angle 30. 1422V235 Multi-Speed Belts: 7/8" Top Width. Replaces Variable Speed 600VA2222. 1422V235 Multi-Speed Belts: 7/8" Top Width. Replaces Variable Speed 600VA2222. 24 inches O.C. - top width 7/8"- angle 22. 1422V240 GATES Multi-Speed Belts: Replaces Variable Speed 615VA2222 belt. 1422V240 Multi-Speed Belts: 7/8" Top Width. Replaces Variable Speed 615VA2222 belt. 24.5 inches O.C. - top width 7/8" - angle 22. 1422V270 Multi-Speed Belts: 7/8" Top Width. Replaces Variable Speed Belt 690VA2222. 1422V270 Multi-Speed Belts: 7/8" Top Width. Replaces Variable Speed Belt 690VA2222. Metric 22V685A22. 27.5 inches O.C. - top width 7/8" - angle 22. 1422V290 Multi-Speed Belt. Replaces 730VA2222, Metric 22V735A22. 1422V290 Multi-Speed Belt. Consumer brand. 7/8" Top Width. Replaces 730VA2222, Metric 22V735A22, Dayton 3HEU4, Grainger 3HEU4, Goodyear 1422V290. 29.5 inches O.C. - top width 7/8" - angle 22. 1422V300 Multi-Speed Belts: 7/8" Top Width. Replaces 750VA2222, Metric 22V760A22. 1422V300 Multi-Speed Belts: 7/8" Top Width. Replaces Variable Speed 750VA2222, Gates 1422V300, Goodyear 1422V300, Metric 22V760A22. 30.5 inches O.C. - top width 7/8" - angle 22. 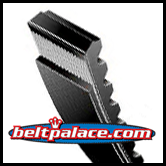 1422V330 Multi-Speed Belts: 7/8" Top Width. Replaces Variable Speed 850VA2222, Metric belt 22V840A22, Goodyear 1422V330. 33.5 inches O.C. - top width 7/8" - angle 22. 1422V540 Industrial Grade Multi-Speed Belt. 1430V500 Multi-Speed Belt, Industrial Grade. 1430V500 Multi-Speed Belt. Industrial Grade. Length 50.5� O.C - Top width 7/8" - angle 30. 1922V390 Multi-Speed Belt. Industrial Grade. Length 39.6� O.C - Top width 1-3/16" - angle 22. 1922V417 Multi-Speed Belt. Industrial Grade. 1060VB3022 VARIABLE SPEED, Bando Power Max 1922V417. 1922V460 Multi-Speed Belt, Industrial Grade. 1922V484 Muti-Speed Belt (1220VB3022). Replaces Comet Belt 213793A. 1922V484 Muti-Speed Belt. Replaces Comet Industries Belt 213793A. 1922V806 Variable Speed Belt. 81.2" Length. Replaces Univex 1064505 Belt, 2060VB3022, Goodyear 1922V806, Gates 1922V806, Metric Belt 30V2045A22. Measures 81.2" Length, 1-3/16" Wide, V-angle is 22 degrees. 1930V750 Variable Speed Belt. 75.8" Length, 30� Angle, 1-3/16" Wide. Metric 1925x30x21.